Abstract: Background/Purpose: Adolescents are in a critical stage regarding the development of health-risk behaviors. So as research shows prevention is the best strategy to reduce the cancer burden, and new approaches regarding cancer prevention are of utmost importance. School is one of the most important arenas during this adolescence to learn about healthier choices and lifestyles. Despite its importance, health education is not a required subject in all US schools, and even if it is, parents can opt out of their child taking it. The aim of this study is to evaluate the feasibility of a teacher-based cancer education model in a Midwest High School providing to the teachers the appropriate skills for the implementation of their own activities about cancer education, aiming to increase students’ knowledge on cancer prevention and risk factors. Methods: In this pilot project, teachers were trained before their interventions that are taking place during school year 2015–2016. We will assess students perceived and actual cancer knowledge through questionnaires, both before (pre-test) and after (post-test) the teachers’ intervention. The activities and materials developed and implemented by teachers will be also evaluated regarding the intervention design, the educational contents, and the impact on the students’ knowledge about cancer. Results/ Findings: Twenty-two teachers were efficiently trained and able to develop their own cancer education activities, engaging 300 high school students. The results collected from the pre-test survey show an overall level of cancer knowledge below 50 %, indicating a low understanding about cancer. Discussion: The reduced knowledge and awareness about cancer among students encloses a great potential for improvement. 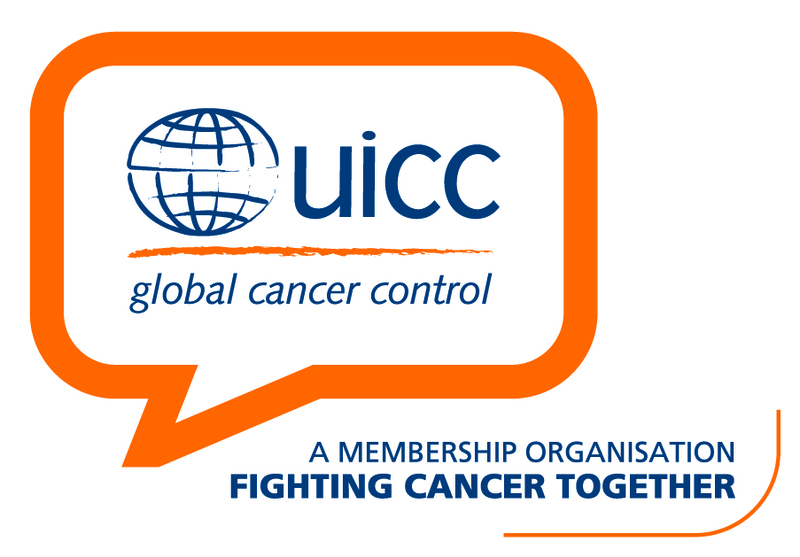 This is one of the necessary tools to design, target, and adapt future curriculum and campaigns in order to achieve two major goals: (i) provide adequate information to increase knowledge about cancer and (ii) improve skills and decision-making capacity to enable beneficial behavior changes for reducing cancer risk. Learning Objectives: The participant shall be able to identify that cancer prevention education promoted in a school context is a more effective way to educate adolescents about cancer and identify that adolescents are an ideal audience for reducing cancer risk through the adoption of healthier choices. References: 1. Barros A, Moreira L, Santos H, Ribeiro N, Carvalho L, et al. (2014) “Cancer—Educate to Prevent”— High-School Teachers, the New Promoters of Cancer Prevention Education Campaigns. PLoS ONE 9(5): e96672. 2. Morse, L. L. (2013). Let schools do it! Helping schools find a role in cancer prevention. Journal of Adolescent Health, 52(5), S89-S92. 3. Mayer AB, Smith BJ, McDermott RJ (2011) Health Education: Always Approved but Still Not Always on Schools’ Radar. Am J Health Educ, 42(6):349-359. Abstract: Background: Deaf consumers with relatively low English proficiency might find existing cancer health information on the Internet to have unfamiliar words or grammatically complex, which reduces access and understanding of the information. The current state of art does not support low cost and quick translation of online materials to American Sign Language; the state of art is relatively more advanced in simplifying text information. Methods: We worked together to develop a two-step approach to simplifying cancer health text and tested this with 36 deaf and 38 hearing college students in a crossover design. Findings: Results indicated that hearing college students did well on both original and simplified text conditions. However, deaf college students greatly benefitted from the simplified text condition. Discussion: In the above study, we used two steps to simplify the text materials taken from a cancer education website. This process has been proven to be beneficial for both deaf and hearing college students. Replicating this method with endless text on the Internet can be quite time consuming and expensive. We offer recommendations to improve Internet accessibility in future work. Learning Objectives: The participant should be able to (1) recognize that current online health information on the Internet continue to be higher than the fourth to sixth grade reading level as recommended by the National Institute of Health and (2) identify steps used to simplify existing cancer health text on the Internet. References: Pascual, A., et al. (2014). Impact of web accessibility barriers on users with hearing impairment. Proceedings of the XV International Conference on Human Computer Interaction. Puerto de la Cruz, Tenerife, Spain, ACM: 1-2. Štajner, S., Mitkov, R., & Saggion, H. (2014). One step closer to automatic evaluation of text simplification systems. In Proceedings of the 3rd Workshop on Predicting and Improving Text Readability for Target Reader Populations (PITR)@ EACL (pp. 1-10). Abstract: Background: School health educators are ideal partners for institutions seeking to promote cancer education and improve health literacy equitably among diverse populations as the many children attend such institutions. In addition, many states require school health curricula to include education in nutrition and dietary behavior, physical activity and fitness, and tobacco use prevention, important issues in primary cancer prevention. We conducted a pilot evaluation of a cancer prevention curriculum for fourth-grade students to determine the feasibility of a teacher-led version of the program. Methods: This study utilized a single-group, pre-test/post-test design to determine the effect of the curriculum on matched knowledge scores among fourth-grade students. Teachers also completed a survey and follow-up interview to determine their perceptions of the program and its usefulness in the classroom. Results: The mean scores of the student knowledge-based tests increased from 6.45 to 8.12, 5.99 to 7.65, and 5.92 to 7.96 on cell, cancer, and health behaviors units, respectively (all p values < .001). Analysis of the teachers’ survey showed that teachers accept the program and find it to have educational value for their students. Discussion: This study demonstrates that teachers can effectively deliver cancer educational materials to young children in the classroom setting in a way that is comparable to a St. Jude staff-led curriculum. In addition, the demographics of the study participants are representative of the larger demographics of the region, indicating the program was effective across a broad demographic spectrum. This study was limited by the single-group versus cohort design and the lack of a control group. Further research is needed to measure any changes in students’ beliefs, attitudes, perceptions of susceptibility to cancer, intentions, and self-reported health behaviors that may result from student participation in the program. Learning Objectives: The participant shall be able to recognize the potential for teachers to effectively deliver cancer educational materials to young children and identify at least one benefit in partnering with local schools and school system in disseminating cancer education to young children. References: Rechis, R., C. Neal, and D. McGoldrick. 2010. LIVESTRONG at school: Changing classroom talk about cancer. Journal of Cancer Education. 25(1): 127128. Stöver, L.A., B. Hinrichs, U. Petzold, H. Kuhlmei, J. Baumgart, C. Parpart, O. Rademacher, E. Stockfleth. 2012. Getting in early: primary skin cancer prevention at 55 German kindergartens. Br J Dermatol. 167(Suppl 2): 63-9. Shihab, R.A., N.A. Obeidat, R.K. Bader, A. Shtaiwi, A. Ayub, F.I. Hawari. 2012. Cancer-related knowledge, attitudes, and risk perception among 6 grade students in Jordan. Stud Health Technol Inform. 172: 155-60.